This prime brass pet urn is accommodating for pets of all sizes up to 200 pounds. 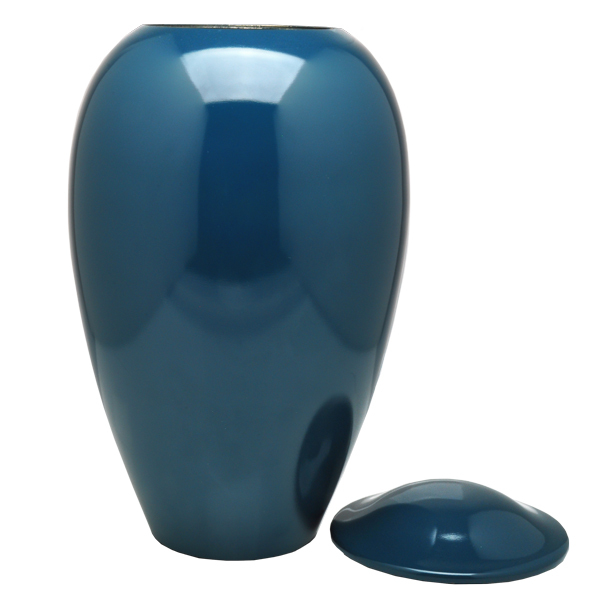 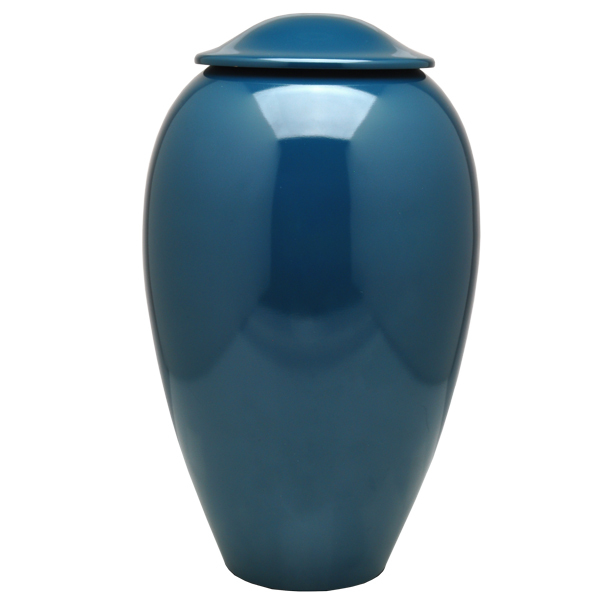 For smaller pets, this handsome steel blue urn can hold the ashes as well as small keepsakes such as id tags and collar. 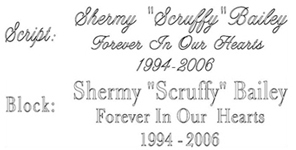 Complete the memorial with text engraving plus clip art for additional costs.